SKOPJE (Reuters) - Macedonia said it was checking for the Ebola virus in a British man who died within hours of being admitted to hospital in the capital Skopje on Thursday. 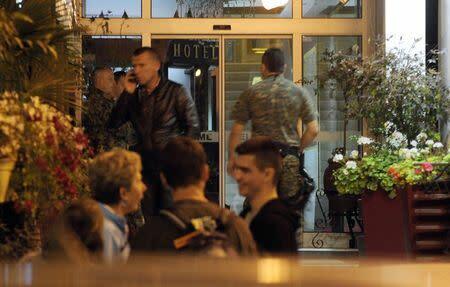 Authorities sealed off a hotel where he had been staying, isolating a second Briton and hotel staff. A Health Ministry official said the man had arrived from Britain on Oct. 2 and had been rushed to hospital at 3 p.m. (9 a.m. EDT) on Thursday, where he died several hours later. Dr. Jovanka Kostovska of the ministry's commission for infectious diseases said the man had been suffering from fever, vomiting and internal bleeding, and that his condition had deteriorated rapidly. Amid fears that the disease might spread in Europe, Kostovska told a news conference: "These are all symptoms of Ebola, which raises suspicions with this patient." 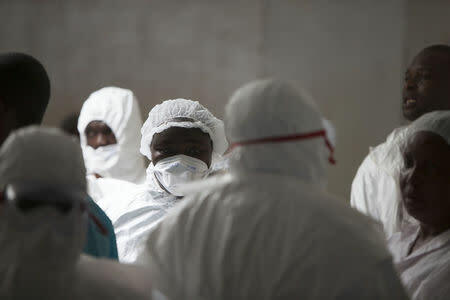 It was unclear, however, whether the man had recently been to West Africa, where Ebola has killed nearly 4,000 people since March in the largest outbreak on record. "Initially we had information that he had been to Nigeria, but then his friend told us they hadn't been anywhere," said Kostovska. A government spokesman said later: "Medical authorities have informed us that up till now they cannot confirm whether the patient who died had Ebola. But as a precaution, based on the protocol of the World Health Organisation, medical authorities are taking all measures as if the patient had been suffering from a highly infectious disease." Ebola is spread through direct contact with body fluids from an infected person. The health of a Spanish nurse, the first person believed to have contracted Ebola outside Africa, worsened on Thursday in Madrid. A hospital in the Czech capital Prague is testing a 56-year-old man with symptoms of the disease, a spokesman said. 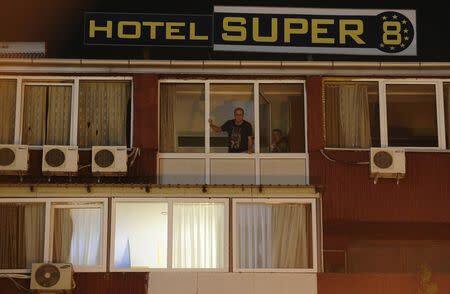 Kostovska said that blood and tissue samples would be sent to Germany for tests, and that steps had been taken to isolate the hotel where the Briton had stayed. Authorities did not name the man, saying only that he was born in 1956.